During an emotional ceremony at COTA earlier today, Nicky Hayden’s Number 69 was officially retired from MotoGP racing. 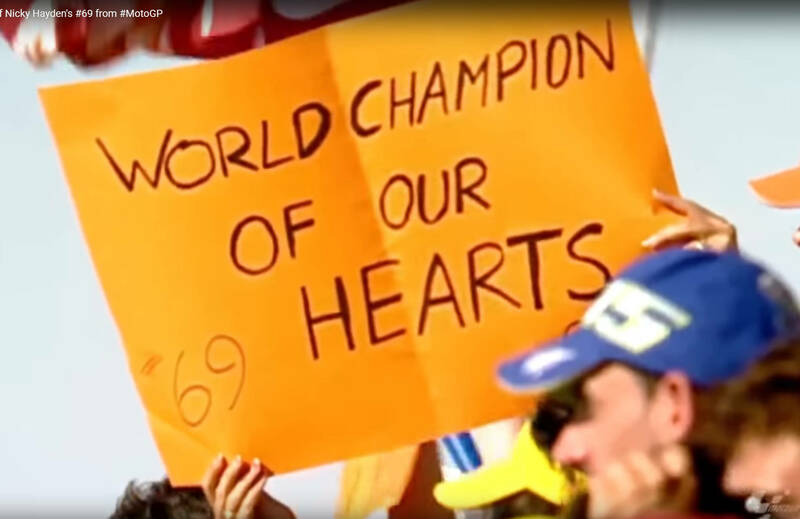 In a presentation of the Number 69 to Nicky’s father Earl (see picture above), FIM President Jorge Viegas and Dorna CEO Carmelo Ezpeleta marked the passing of perhaps the most beloved personality in MotoGP. Below is a press release from DORNA. 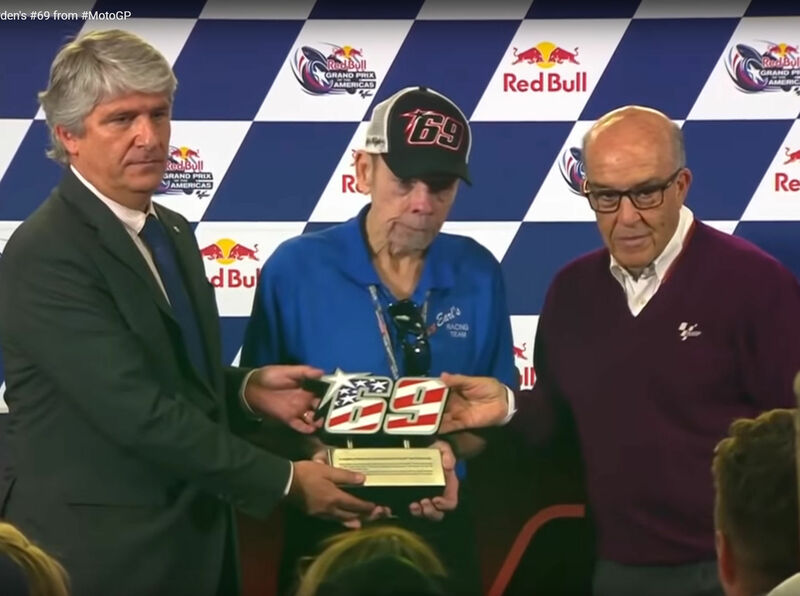 Follow this link to a video of the retirement ceremony of the MotoGP Number 69 in honor of the “Kentucky Kid”, Nicky Hayden. I’m sad over Nicky to this very day. I still have a T shirt that I bought after he won the championship. It shows him riding around the track holding the American flag. It’s special now so I only wear it only on special occasions then I hang it in the closet, on a hanger. Simply awesome. What a great champion. Miss you Nicky! R.I.P. 69.